Actress Taraji P. Henson got engaged this past weekend, to her longtime BF Kelvin Heyden. 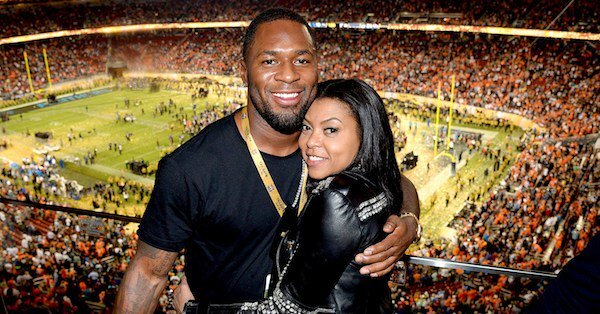 In the past, Kelvin has been accused of openly cheating on Taraji according to reports. But MTO News learned that Kelvin promised Taraji last fall, that he "turned over a new leaf." Well MTO News reports that just two weeks ago, Kelvin flew on a "guys trip" to Dubai. He was in the Middle Eastern country with his hommies . . . and his EX-Girlfriend. Below is a pic of the two (from years ago). Na wa for MTO News o! Can exes not coincidentally be in a city/country at the same time?? ?